This page gives an overview of the material available to registered users who can download the files from this site. 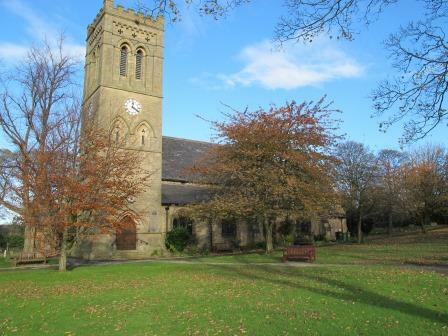 After you have logged on as a registered user, there will be another menu off this one named 'Mirfield St Mary's Project Downloads' and selecting this allows the download of the Mirfield St Mary's database spreadsheet plus photograph files. This project is the sixth in the series and this second phase was completed in November 2015. It is a new survey designed to locate all known MIs (Memorial Inscriptions), photograph and transcribe their contents plus map all known burials onto a spreadsheet plan. The plans on the spreadsheet contain all existing MIs and interments (as of November 2015). Please note that a new version 2.0 was uploaded on 5/11/15 (the Mphotos file is unchanged). If you previously downloaded v1.0 then you should upgrade to v2 as the addition of interment data has allowed cross-checking to reveal a number of errors in the v1 burial book data which has now been corrected in v2. Hi Richard, is it Ok to quote from your Mirfield will transcripts on a public site like Wikitree? (Jane Sheard 1637) And is it OK to include a link to your main page here? Many thanks for your excellent site! Macky, I have sent you an e-mail with some instructions. I am not able to find a way to the “download s.
Any hints, or what am I doing wrong? I have found the plot and sent you an e-mail with further details. I have sent you an e-mail to say that I believe I have found your granmother, together with some pointers. 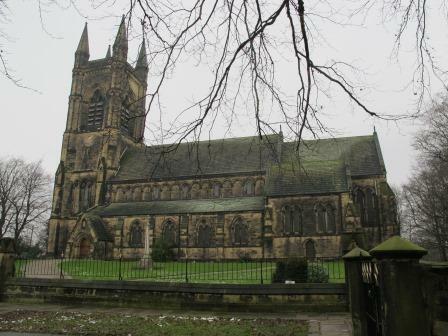 I am looking for the unmarked grave of my grandmother, Ada Mallinson who is buried in St Marys Mirfield. I believe I know roughly where it is but not an absolute certainty. She died before I was born in 1955, I'm not certain what year but assume the 40's. Can I search for the location in these records please? Mary, I have replied via your e-mail. i am searching for the grave of Mary Ann Smith, which I understand is in St. Mary's Church yard.